Hope you have a nice big salt shaker for this one, because you're going to have to take all of these stories with a few grains of salt. One of the most marketable tag lines in all of horror history is "based on a true story." It allows us to believe that the terrible things we see on film has happened and might just happen again. It's a creepy thought, and the worst of humanity can inspire the best stories. So let's look at the real stories behind your favorite horror movies. Whether or not they're actually 100% accurate is probably not worth overthinking. Remember, when the facts become legend, print the legend. 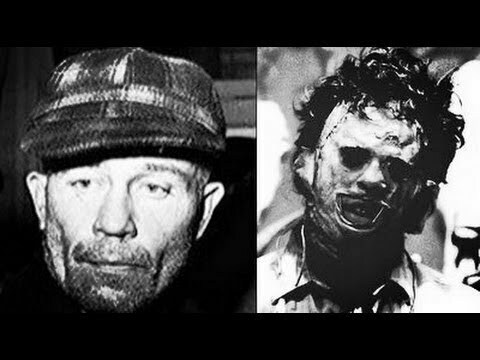 Probably the most famous "based on a true story" example, the story of Wisconsin killer Ed Gein has been inspiring horror creators for generations. The man, known as the the Butcher of Plainfield, killed a hardware store owner. When police searched his home, they discovered a macabre gallery of furnishings. Tables, lampshades, wastebaskets, and other furniture, all made of human flesh taken from corpses that Gein had dug up from local cemeteries. The crime shocked the nation and inspired some of the most important horror stories of all time. Gein was fixated on his mother, and the taxidermied body of Norman Bates's mother pointed to a similarity in their madness. Sally Hardesty's descent into the Sawyer's macabre home, complete with corpse-furniture, was inspired by Gein's grisly creations. Finally, Gein wanted to make a women suit so he could climb back into his mother's skin, similar to Buffalo Bill's horrifying efforts in Silence of the Lambs. The Conjuring series has become the Avengers of horror, with interconnecting stories of heroes and villains battling for the souls of humanity. 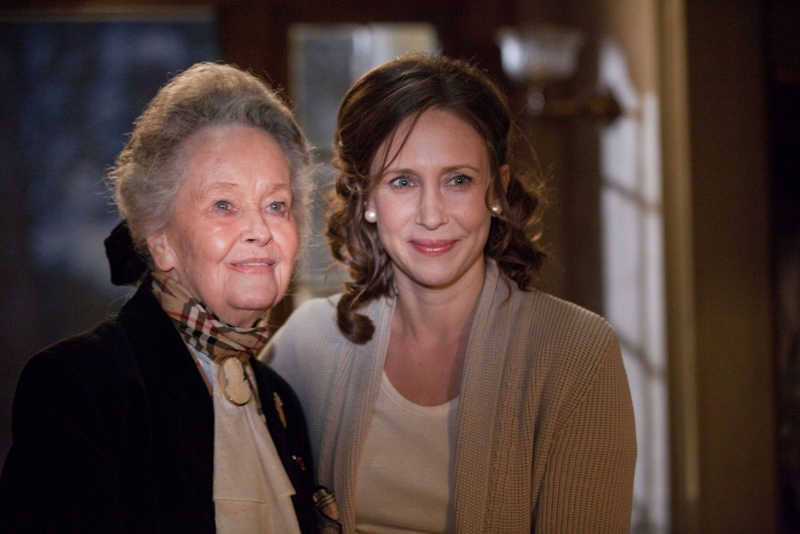 The films are based on the real life case files of Ed and Lorraine Warren, the controversial demon hunters motivated by their unwavering religious convictions. The Strangers director Bryan Bertino cited several incidents that served as inspiration for his chilling home-invasion thriller. The stranger knocking on the door was inspired by real events that happened in Bertino's childhood, where a group of robbers would knock on people's door to see if anyone was home. He also described a fascination with the randomness and brutality of the Manson family murders. Finally, the horrors of the Keddie Cabin murders, an unsolved quadruple homicide that took place in a rural, isolated cabin, provided the location where the story took place. One of the most famous hauntings in American history, the Amityville Horror started as a book by horror author Jay Anson. The story followed the Lutz family as they purchase a property that was once the site of a multiple homicide, and the film adaption has become one of the most famous horror stories of all time. In 2007, the dark thriller Zodiac terrified audiences with its story of obsession and brutality against a backdrop of 1970s San Francisco. 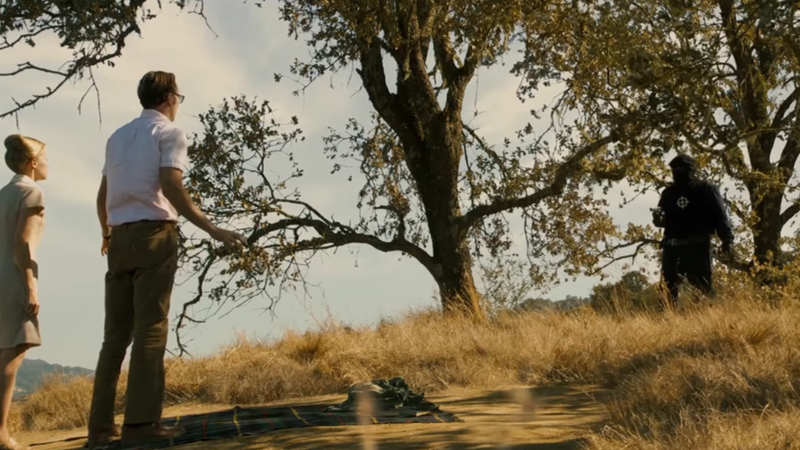 Director David Fincher had such an eye for detail and accuracy that the actual survivors of the Zodiac assaults were freaked out by the scenes of the Zodiac's attack. One of the most important horror films of all time, A Nightmare on Elm Street has two very strange inspirations behind it. The first was Wes Craven's childhood. A bully named Krueger picked on Craven and gave the dream killer his name, and an ugly derelict who frightened Craven as a child gave Freddy Krueger his cruel personality. Finally, the idea of deadly dreams came from a series of cases where survivors of the Khmer Rouge who had emigrated to the United States died in their sleep after complaining about dangerous nightmares. One of my favorite horror movies is the brutal Australian horror film Wolf Creek. The Outback variation of The Texas Chainsaw Massacre features Mick Taylor, a brute of a man that hunts any backpackers that he comes across. The character is based on Ivan Milat, a serial killer responsible for the death of at least seven travelers. One of the most famous and controversial horror movies of all time, the Catholic-tinged horror of The Exorcist was inspired by William Peter Blatty's novel, which retold the story of a Maryland exorcism of a small boy. The character of Father Merrin was based on archaeologist Gerald Lankester Harding, who had excavated the Dead Sea Scrolls and whom Blatty had met in Beirut.